Roses | Who Am I? 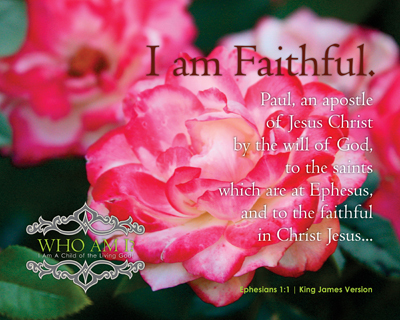 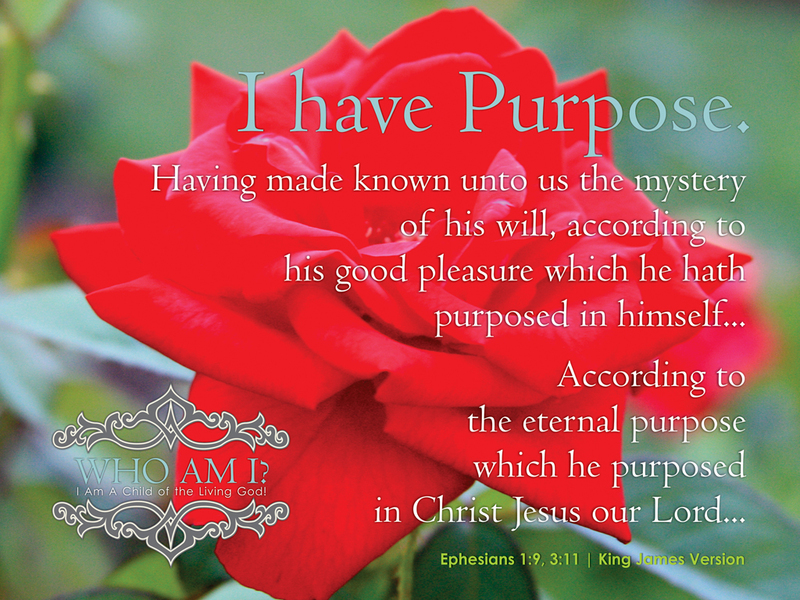 These twelve (12) prints contain the beginnings of this Series with “I am” statements mostly tied to what the Lord provides for every Christian. 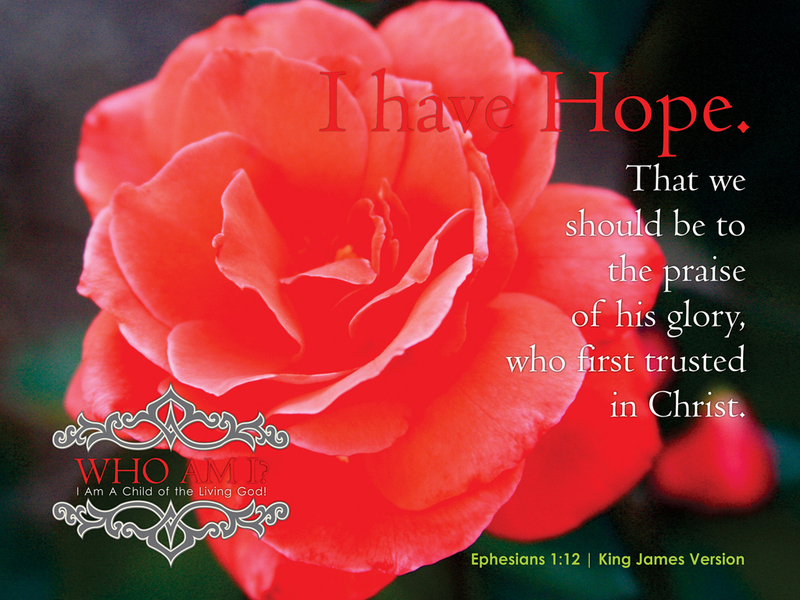 This set contains roses for each print. 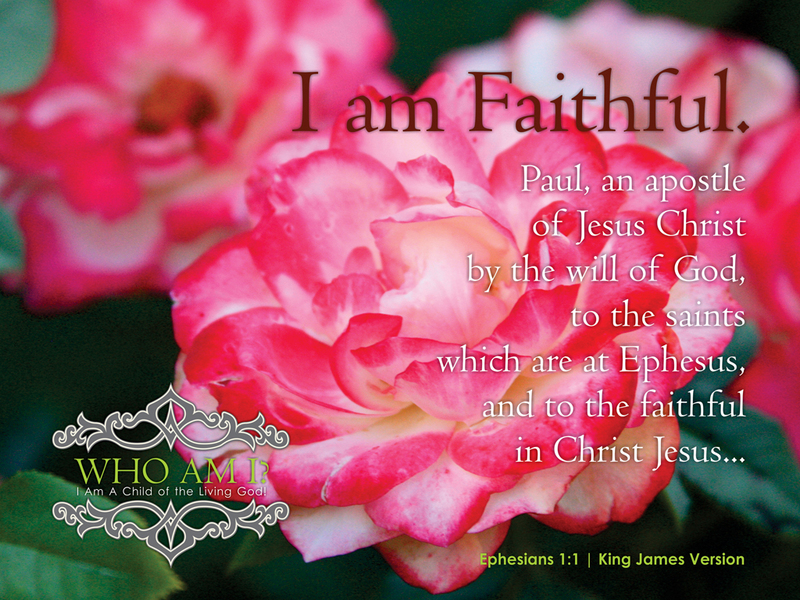 01 | I am Faithful. 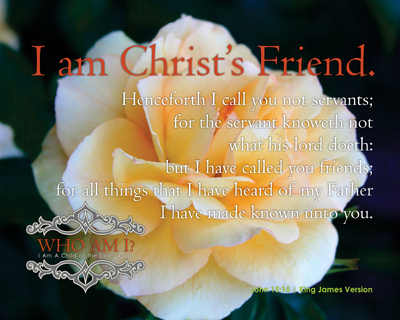 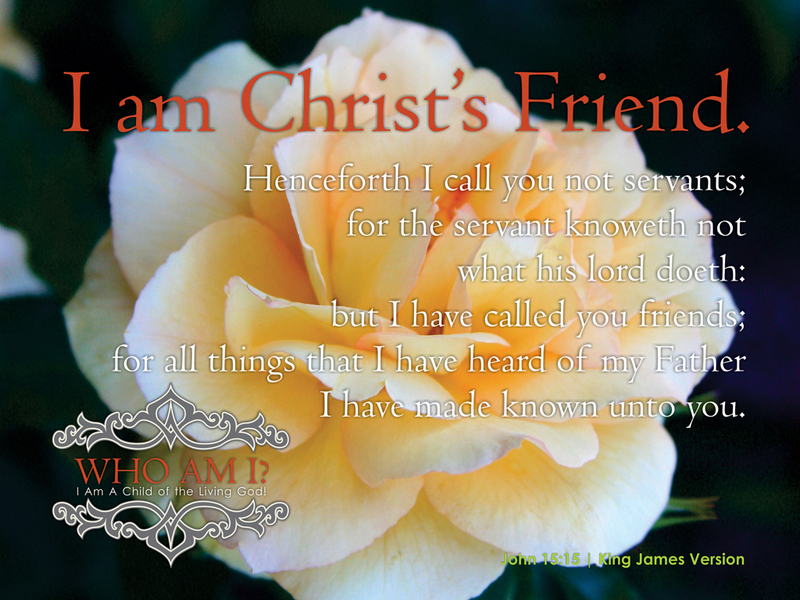 02 | I am Christ’s Friend. 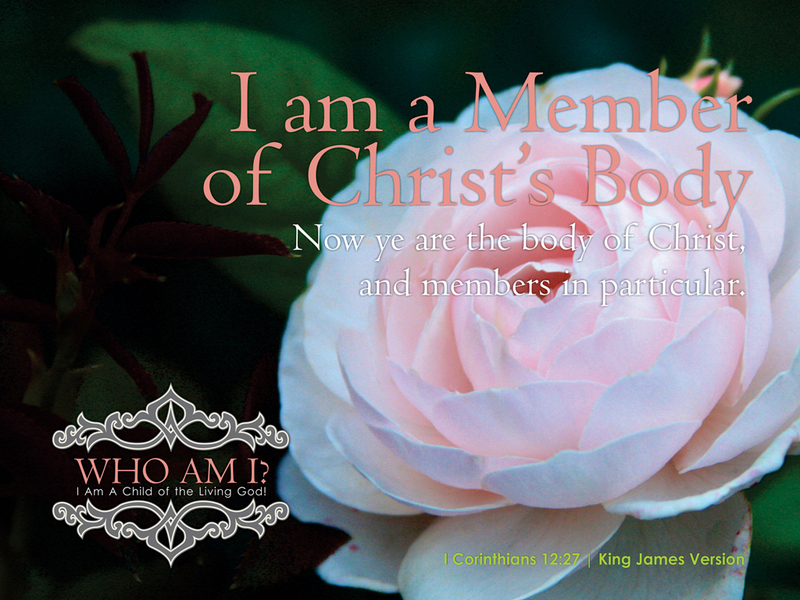 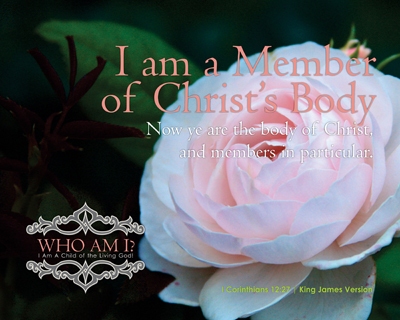 03 | I am a Member of Christ’s Body. 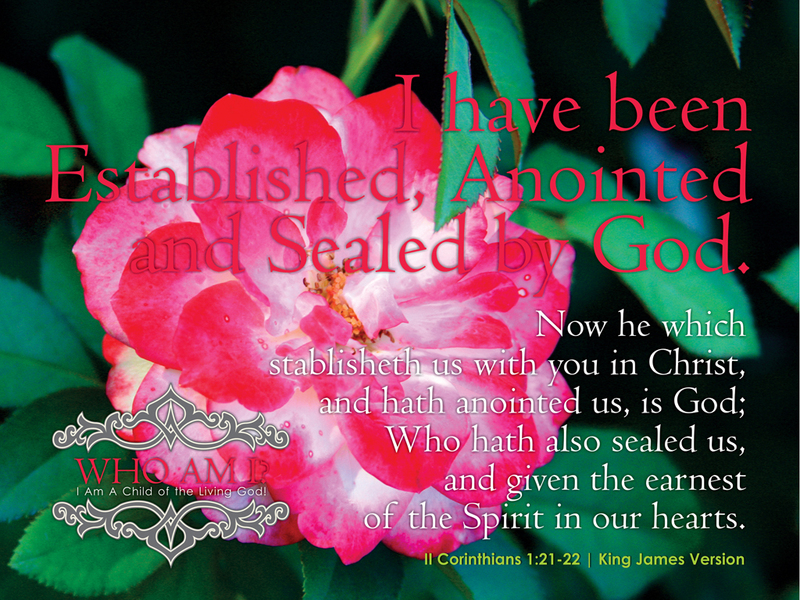 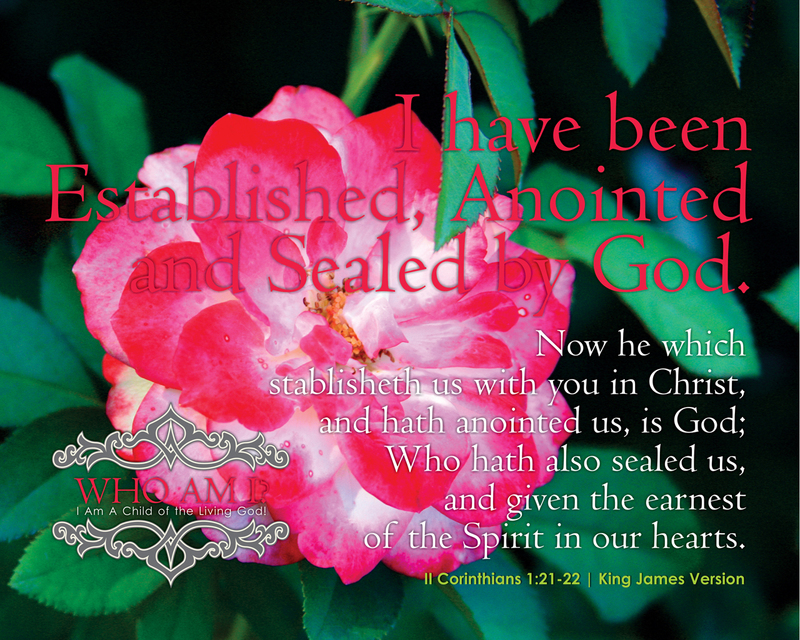 04 | I have been Established, Anointed and Sealed by God. 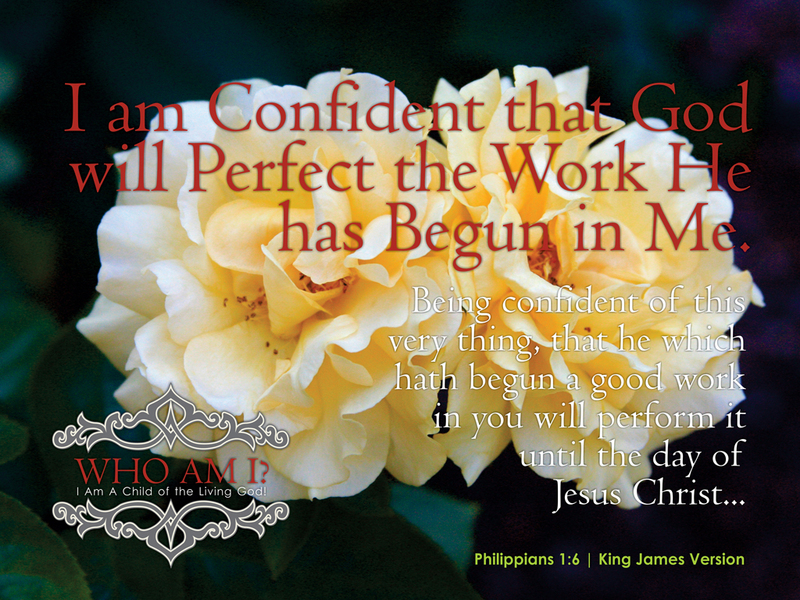 05 | I am Confident that God will Perfect the Work He has Begun in Me. 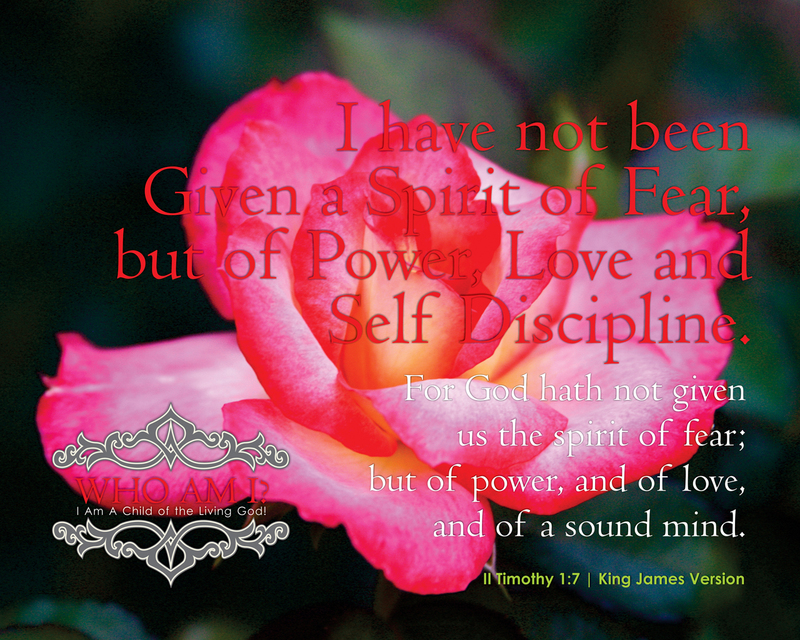 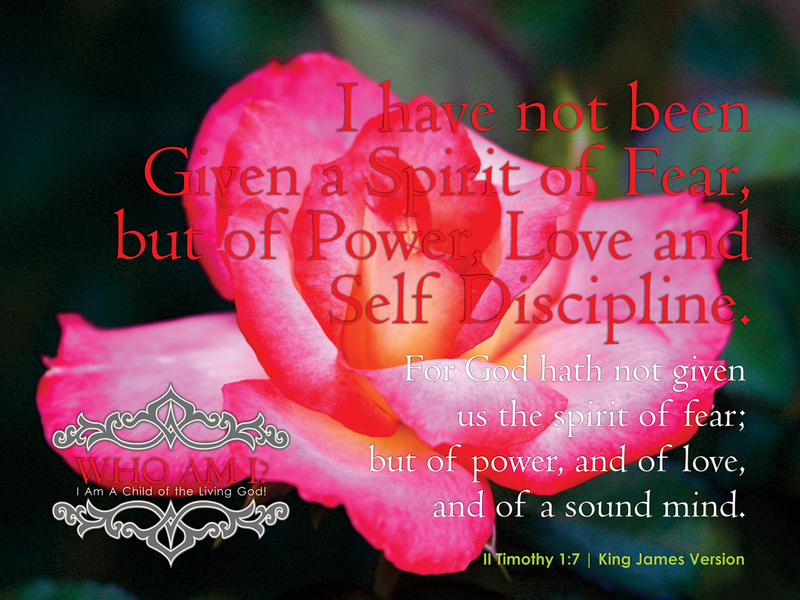 06 | I have not been Given a Spirit of Fear, but of Power, Love and Self Discipline. 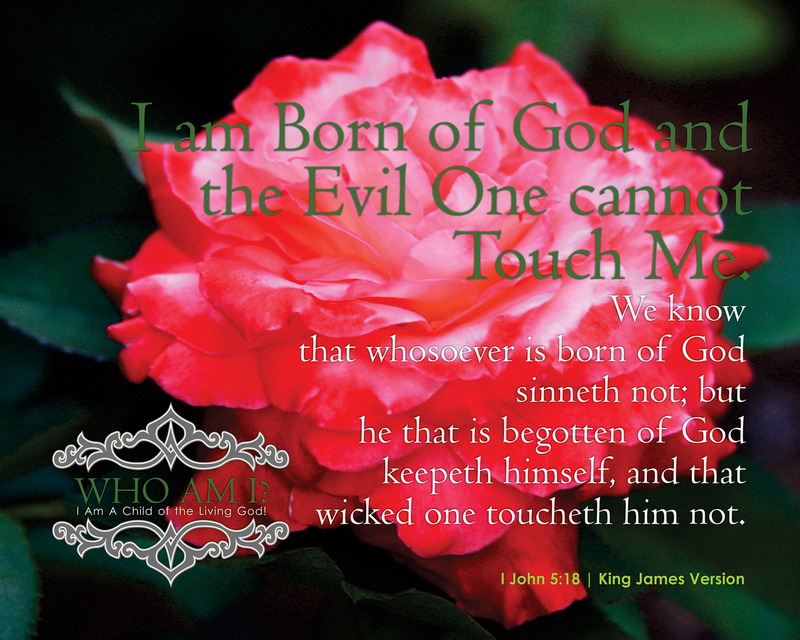 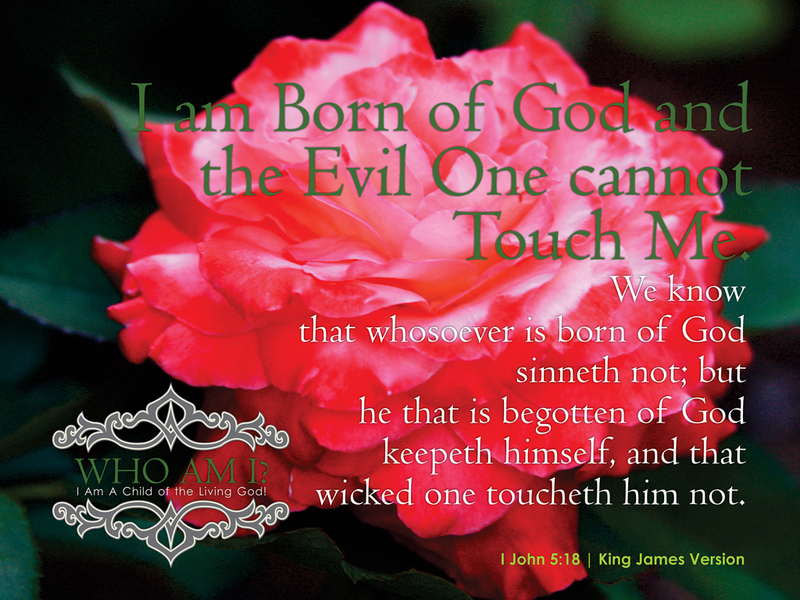 07 | I am Born of God and the Evil One cannot Touch Me. 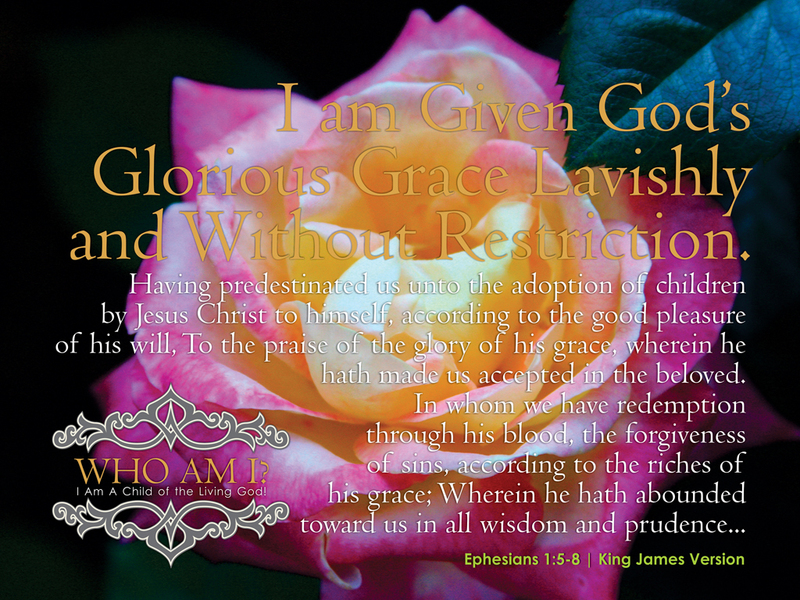 08 | I am Given God’s Glorious Grace Lavishly and Without Restriction. 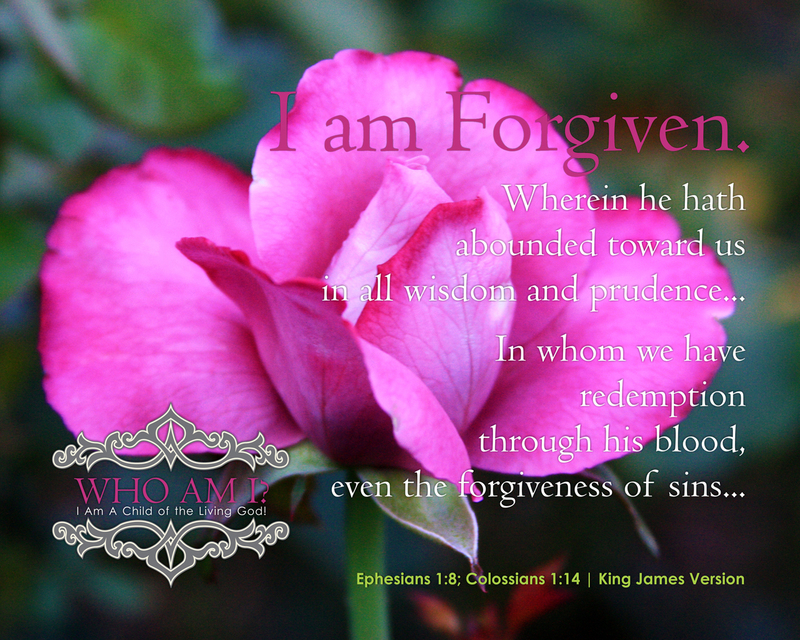 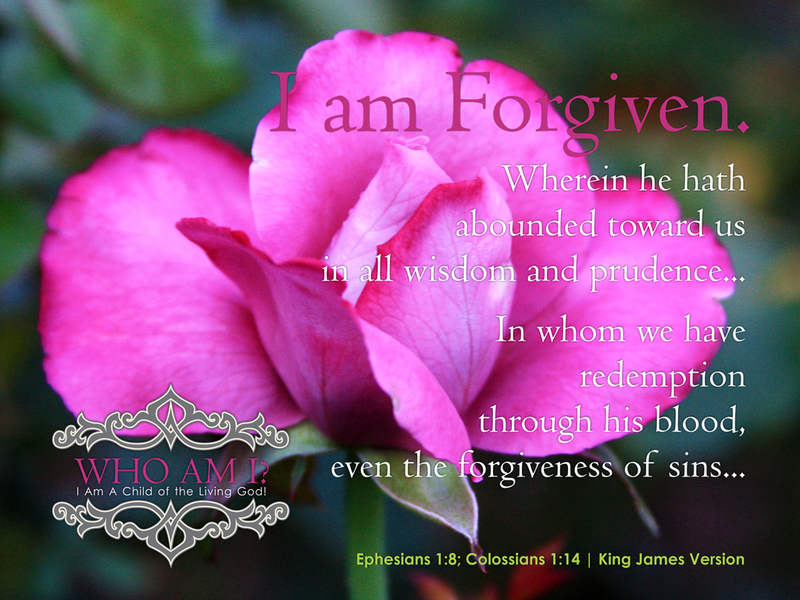 09 | I am Forgiven. 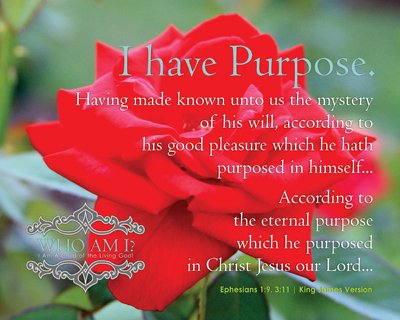 10 | I have Purpose. 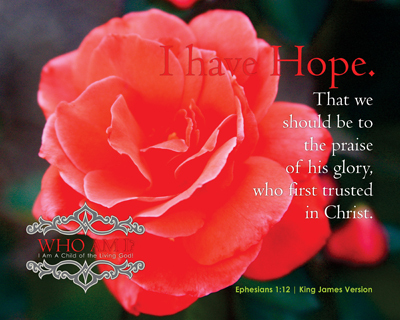 11 | I have Hope. 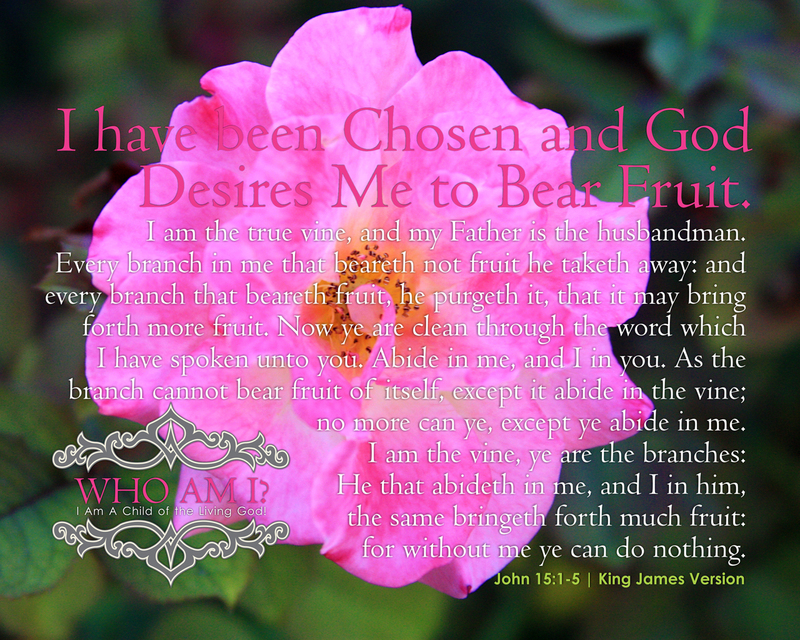 12 | I have been Chosen and God Desires Me to Bear Fruit.